My roommate, friend, and very talented fellow photographer Andrew Burton is in Vancouver shooting the 2010 Olympic Games. His shots so far are amazing. 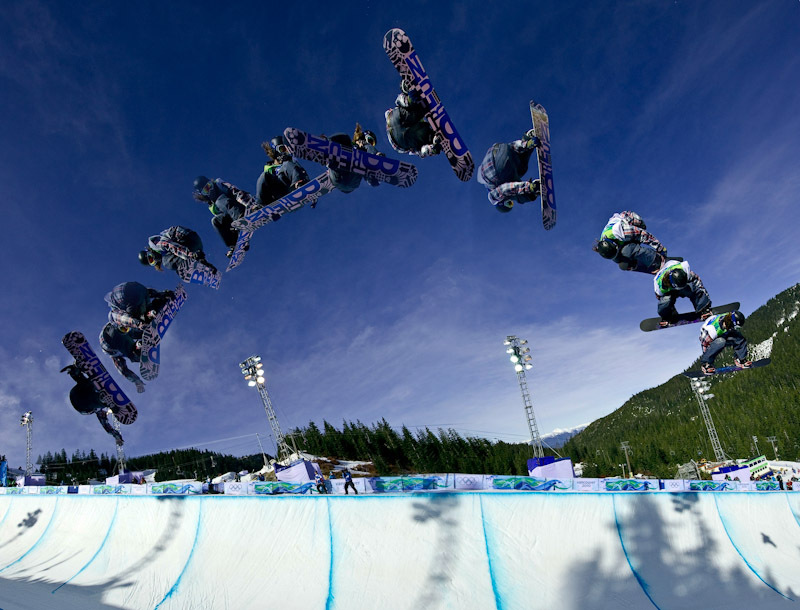 Anyway, it being the Olympics and him being very busy shooting the Olympics, Andrew asked me to put together this composite of Shaun White (During what I'm guessing is semi-finals or a practice run) airing super-high in the pipe. Andrew is letting me post this shot before he does over at his blog, so please, help me return that favor to him by checking out some of his stuff I've linked to up there! He deserves it!